Carl Ferdinand Wittichen, junior, peacefully passed away at bedtime on October 29, 2016, at the age of 101. He lived a long, productive, and happy life. He is survived by his loving wife of 66 years, Ivy Vickery Wittichen. He will be deeply missed by his three daughters, Judy Anderson (Charles), Vicky Henderson (David), and Linda Israel (Charlie). His legacy is his grandchildren: Powell Owens (Dean), Charles Anderson (Charlann), Ivy Schuster (Josef), David Henderson, Griff Israel (Mims), Whitt Israel (Lucy), Robert Israel (Kathleen), Parker Israel, and Ivy Israel. He was blessed with eight great-grandchildren: Zach and Beth Owens, Mary Carolyn Anderson, Julia Schuster, Annie and Elizabeth Israel, Charlie Israel, and was predeceased by infant grandson Finn Israel. In addition, he was predeceased by his parents, Julia Parker Wittichen and Carl Ferdinand Wittichen, senior. He was a lifelong resident of Birmingham, Alabama. A graduate of Phillips High School, he first attended Birmingham-Southern College. He graduated from Auburn University in 1935, with a Bachelor of Science degree in Chemical Engineering. He proudly served his country in World War II as a Major in the Chemical Corps of the United States Army. Alongside his father, who operated the Wittichen Transfer Company, he began his business career by founding Wittichen Chemical Company. Wittichen Chemical was eventually sold to Thompson-Hayward Chemicals, but not before Mr. Wittichen formed a separate division, Wittichen Supply Company. Wittichen Supply Company, a wholesale distributor to the air-conditioning and refrigeration industry, still operates today. He founded Wittichen Solvents Company, a supplier of booster fluid for jet-propelled airlines, which he sold in 1992. In addition, he served as President of Birmingham Realty Company until 1976. He was a director of Carolina Energies Company and Compass Bank of Birmingham. He enjoyed an active community life, beginning with the honor of serving in 1948 as the 15th and final King of the Christmas Carnival, a predecessor of the Beaux Arts Krewe. He was President of the Birmingham Kiwanis Club, Board Chairman of the Boys and Girls Club of Central Alabama, President of the Downtown Club, and President of Duffy’s Bend Hunting Club. He was recently honored by the naming of the Wittichen Fountain at Mountain Brook City Hall. He was a member of Briarwood Presbyterian Church, Mountain Brook Club, and Birmingham Country Club. 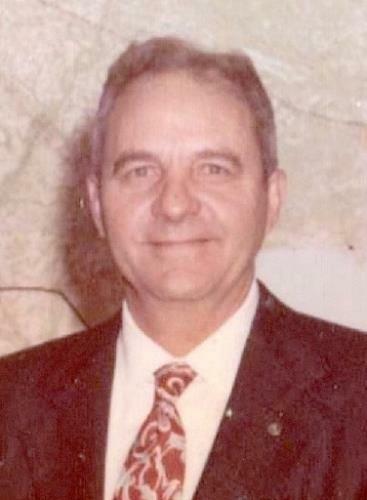 Mr. Wittichen was an avid outdoorsman, who enjoyed many years of hunting and fishing activities. He especially loved sharing this passion with his family and friends. He took great pride in developing Quail Lake Farm in Springville, Alabama. There he spent countless hours fishing with his wife, and instilling in his grandchildren a love and respect for the outdoors. He was blessed with wonderful caregivers. His family will be forever grateful to: LaQuetta Barnes, Renee Bellard, Krishun Lyons, Toni Motley, Grace Richardson, Diane Shipp, and Monica Walker. They faithfully ministered to him physically, and most importantly, spiritually, for many days and nights. There will be a private family graveside on Wednesday, November 2, 2016, followed by a celebration of his life from 3:00-5:00 P.M., at St. Martins-in-the-Pines, 4949 Montevallo Road. In lieu of flowers, memorial gifts may be made to the Boys and Girls Clubs of Central Alabama, P.O. Box 10391, Birmingham, Alabama 35202-0391; or Briarwood Presbyterian Church, 2200 Briarwood Way, Birmingham, Alabama 35243. “Who then is the faithful and wise servant, whom the Master has put in charge of the servants in his household to give them their food at the proper time? It will be good for that servant whose Master finds him doing so when he returns.” Matthew 24:45-46Well done, good and faithful servant. You are a treasure.